This guitar strap is made of buffalo and salmon skin. 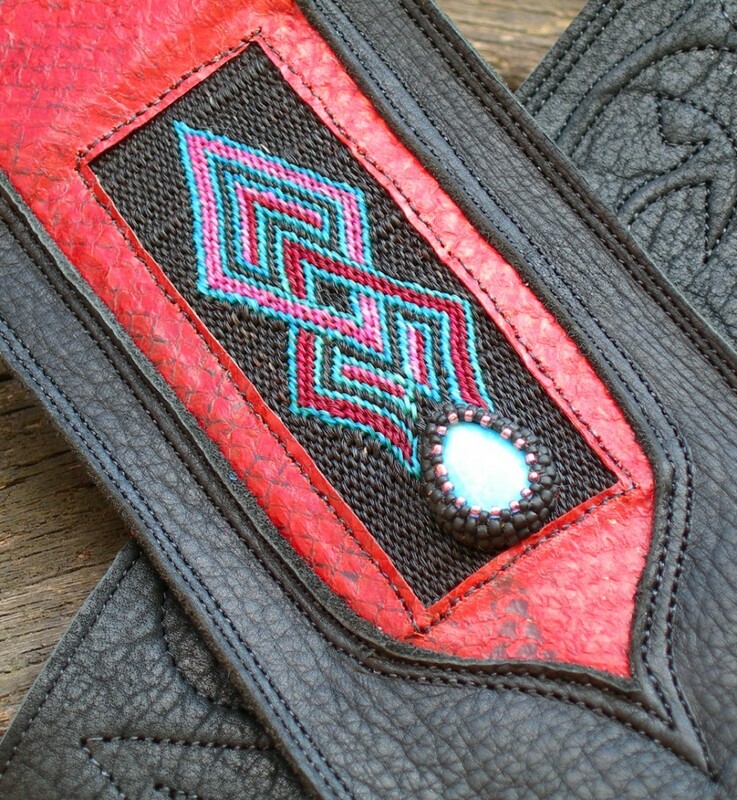 It features an inlay of Hitched Horsehair and a turquoise cabochon set with peyote stitch beadwork. A collaboration with Mik Wright. 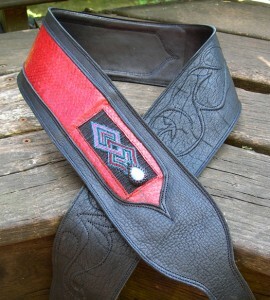 This entry was posted in Hand made. Bookmark the permalink. Both comments and trackbacks are currently closed.